The Saturday victory over Cape Verde at Namboole that secure a second successive qualification to the tournament means that the popularity of the Pearl of Africa is increasingly growing from her famous and God-given mountain gorilla safaris to becoming regional and continental football giants. The cranes secured a second successive qualification for the continent’s premium football competition after seeing off Cape Verde at Mandela national stadium Namboole following a 1-0 win thanks to striker Patrick Kaddu’s late second half header. Prior to the match, confidence was high among both the fans and the players as the cranes needed just to avoid defeat to qualify. However, this did not stop the Cranes from putting up a strong start to the game that saw them miss out some clear cut chances against their West African Island counterparts. The visitors also tried to respond well forcing the Ugandan goalkeeper Denis Onyango to come to the rescue on several occasions including forcing a line clear clearance from defender Murushid Jjuuko to keep the hosts in the game. Saturday’s qualification was the second in row for Uganda after waiting for 39 years to go back into the tournament before 2017. Uganda had last participated in the finals in 1978 where they lost in the final to Ghana. The Cranes had also taken part in 1972 and 1976 competitions. Saturday’s victory was highly praised by The Cranes coach Sebastian Desabre who thanked his players for the solid performance they displayed and added that it is the most important victory he has achieved. Goal scorer Patrick Kaddu also thanked God for allowing him to score the single goal that sealed the country’s qualification. The victory left Uganda as Group L leaders with 13 points in five games, Tanzania and Lesotho are tied with 5 points each while Cape Verde are bottom with four points. The other fixture in the same group saw Tanzania share points with Lesotho after a one-all draw on Sunday. The last fixture in the group will be played in March next year with Uganda visiting Tanzania while Lesotho will play Cape Verde. A victory in Tanzania will see Uganda finish with a record 16 points at the qualification stage. 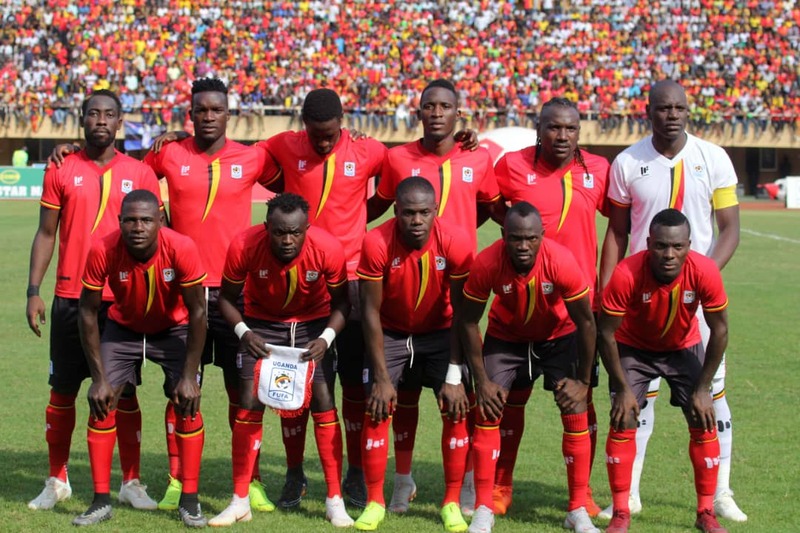 Uganda is now part of the thirteen nations that have secured qualification to next year’s final in Cameroon, namely; Cameroon (Hosts), Nigeria, Senegal, Egypt, Tunisia, Morocco, Algeria, Ivory Coast, Guinea, Mali, Madagascar and Mauritania. Uganda will be hoping for a better tournament in Cameroon next year having endured a disappointing tournament last year in Gabon. The Cranes were placed in Group D where they only managed one point that they secured after drawing with Mali in their final group match while they lost the two opening matches to Ghana and Egypt and they became the first nation to crush out of the tournament. Despite a 3-1 defeat to Sudan, Madagascar had already sealed their qualification last month and they were joined by Mauritania who beat Botswana 2-1 at home as the first time participants in the tournament’s history.